Content marketing for SEO, for clients in West Sussex, Surrey and beyond. Why are these facts important? Sharing is the key to great content. 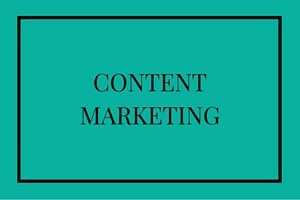 Content gives people a reason to view your website. You want more people to do that. Therefore, what better way than to create content that they want to read. Moreover, what better than to have them share it (i.e. do the advertising for you) and encourage even more people to then go and read it too! As a copywriter and content marketing professional, my job is to take a topic, a product, a business or an idea and find interesting words to describe and ultimately sell them. What you don’t want to do though is just populate your website with content for the sheer hell of it. It’s got to be good and to be good, it’s got be either useful or shareable. Below are just a few examples of types of content marketing for SEO that could help to drive traffic to your website. They might not all be relevant to you, but all you have to do is get in touch and we can discuss what would be the best approach to suit your objectives.